“We’re doing in 24 months what most OEMs need up to 60 months to do,” said Jim DeLuca, the former General Motors executive who was lured out of what he describes as “a comfortable retirement” last year to serve as VinFast’s chief executive officer. The venture is the brainchild of Pham Nhat Vuong, a Vietnam native who, 25 years ago, borrowed $40,000 to launch a noodle company in Ukraine. After selling it to Nestle’s for $150 million he headed home, parlaying what was already a handsome sum into the country’s biggest conglomerate. Vingroup today operates everything from luxury malls to resorts, hospitals and schools, making him by far the country’s biggest entrepreneur. While there’s plenty of manufacturing in Vietnam, it’s largely focused on cheap labor industries like garment production. 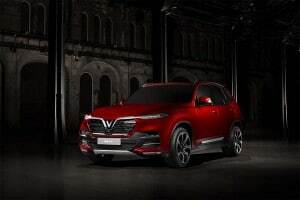 The launch of VinFast marks a dramatic change that could radically alter the Southeast Asian nation’s economy much as car manufacturing has done in several neighboring countries. 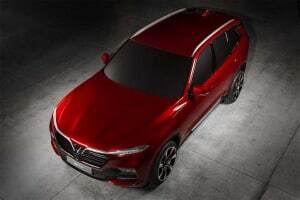 VinFast plans to offer several models early on, including a new sport-utility vehicle based, in part, off the BMW X5. Nonetheless, it’s a risky venture, and with the team of expats that he has put together, DeLuca decided not to follow the traditional industry model. Though the massive complex the company is setting up will handle everything from stamping and engine production to final assembly, VinFast is outsourcing major elements of its product development. Dave Lyon, a former lead designer at GM and now the head stylist at VinFast, launched a competition pitting a number of global design houses, including Pininfarina and Italdesign against one another to come up with a midsize sedan and a midsize SUV. Then, in an unusual move, the start-up asked the Vietnamese pubic to vote for the best designs, and they picked the ones from Pininfarina. 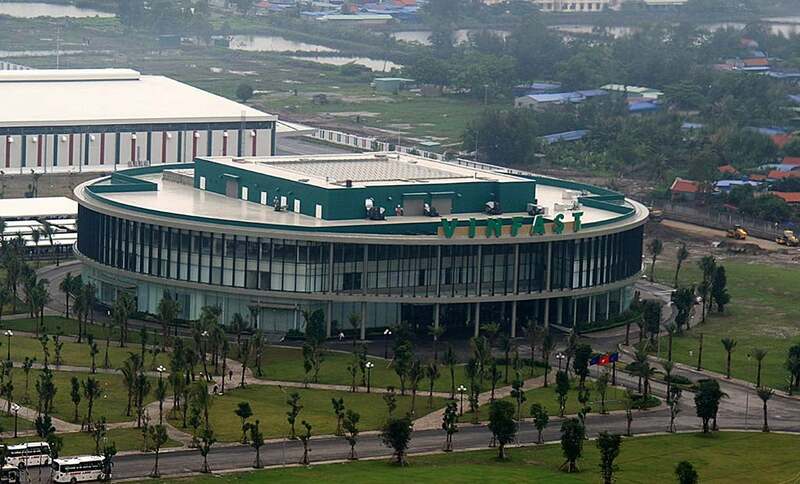 Normally, that would be just the first step, Lyon said, during an interview in Vietnam, the renderings then carved into clay to begin a meticulous refinement process that could drag on for a year or more. Instead, the development team worked entirely in the digital realm, coming up with a final design in a matter of months. Under the skin, meanwhile, VinFast lined up a licensing deal with BMW to use the architectures of the last-generation 5-Series sedan and X5 SUV. 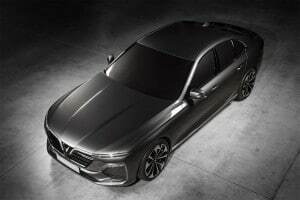 While perhaps a bit dated, it gave the company a strong basis to start with, especially considering the new sedan would be going up against the Toyota Camry, one of the most popular models in Vietnam. BMW also agreed to license a version of its 2.0-liter inline-four gasoline engine which will be shared by both of VinFast’s first models. The Vietnamese start-up has eliminated some of the more sophisticated features of the Bavarian powertrain, like its variable-valve-timing system, but company officials claim they’re getting nearly as good performance, mileage and emissions numbers at a substantially lower cost. The VinFast sedan is uses a "few years old" BMW 5 Series chassis as its base. During a recent tour of the VinFast complex, only a few buildings have been completed, including the distinctive, circular headquarters building. But tooling for the engine plant is now being moved into place and the stamping, body, final assembly and paint buildings will quickly follow. As with product development, VinFast has teamed up with companies like Magna Steyer, ABB, Bosch and Siemens to help pull its manufacturing operations together quickly and at as low a price tag as possible. That said, the start-up isn’t operating on the cheap. Like most other third-world automakers, VinFast will have the benefit of low wages, averaging around $2.50 an hour, but it will make extensive use of robotics, the body shop, for example, almost entirely automated. Keeping costs down will be critical. 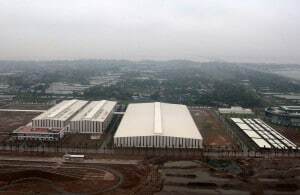 Though Vietnam’s economy is booming, its GDP growing an average 6 to 7% annually, incomes nationwide still average little more than $2,000 a year – though it’s significantly higher in urban centers like Hanoi – an hour from Haiphong, and Ho Chi Minh City, at the southern end of the country. A visitor to Vietnam takes their life in their hands simply trying to cross streets overflowing with scooters, the dominant way of getting around. And VinFast will also launch an electric scooter when retail production begins in mid-2019. The first two passenger vehicles are expected to generate modest volumes, said Thuy Le, the carmaker’s chairwoman, but put a halo on the brand. That, Le added, should make it easier to market two additional products to follow later next year: an electric vehicle and a minicar. 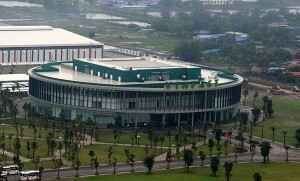 VinFast's headquarters on Haiphong Harbor in Vietnam. VinFast officials aren’t saying much about those models and, it appears, they’re still working out many of the final details. The midsize sedan and SUV, meanwhile, will make their debut at next month’s Paris Motor Show. Once all four vehicles are in production, the company hopes to start rolling around 38 of the vehicles off its assembly line hourly. On a six-day-a-week schedule, that would work out to around 250,000 annually. That number might give pause when one considers the entire Vietnamese car market currently generates only about 300,000 sales annually. VinFast is betting on significant growth in the coming years. Meanwhile, DeLuca thinks that by building cars in Vietnam, national pride will help the start-up capture some of the demand from key market rivals like Toyota and Hyundai. Mike Dunne, a long-time Asian automotive analyst, says there’s no doubt local car sales will grow – especially when one considers Vietnam has a population of 97 million, or about 30% more than North and South Korea combined. But he’s skeptical that will happen fast enough to keep pace with the rapid ramp-up VinFast is planning. VinFast's corporate buildings are sprouting up quacking, including its first production facility. “So, if I were VinFast, I would be looking at both domestic and export markets,” he added, especially in Southeast Asia. The decision to launch those first two models in Paris next month could signal even more far-reaching ambitions, however, and DeLuca doesn’t deny he’d like to target Europe and other global markets in the years ahead. Could that include the U.S.? He sidesteps that question, and perhaps for good reason. As the only country to stymie the American military in a war that took over 50,000 U.S. lives, that could raise some serious marketing challenges. But that sort of move would not likely be considered for some years, anyway. For now, VinFast has to prove it can truly work at lightning speed and deliver its first two models anywhere close to on time. This entry was posted on Tuesday, September 11th, 2018 at and is filed under Asia Pacific, Automakers, Automobiles, BMW, Business, GM, Markets, Sales, VinFast. You can follow any responses to this entry through the RSS 2.0 feed. Both comments and pings are currently closed.